I consider this AMAZING book New Adult Fiction since the main character was 17 years old, but the love interest was in his 20s. I cannot say enough good things about Edenbrooke. Read it!! I reviewed this book first on my other blog, Clean Adult Fiction. Oh my this book was AMAZING!!! I loved it!! 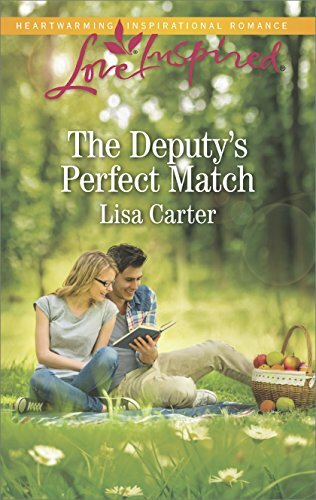 This is a book I would recommend to everyone who loves a good romance, a little excitement, mystery, and a lot of laughs. From the beginning I was attached to Marianne. The poor girl had been shipped off to the city after the death of her mother. Her father had sent her to family in one place and sent her twin sister to another. Separated from her family and the beautiful countryside she felt lost. She left to meet up with her sister at Edenbrooke as soon as the invitation came. The scenery was breathtaking and made me want to visit the English countryside. Sigh. Maybe one day. I loved the humor that came with some embarrassing moments for Marianne especially in front of handsome men. Just thinking about it makes me want to go re-read this book today. 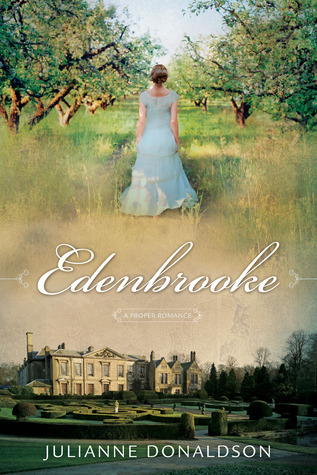 I’d heard so many good things about Edenbrooke. I don’t know why it took me so long to finally read it! If you want a beautiful, relaxing, romantic read go get this book now! You’ll enjoy it. Marrianne- Thanks so much! Your words have given me a boost. That is the #1 reason why I do this blog. I'm so glad it helps you out! I've had my baby and moved so I'm ready to start catching up on book reviews! I wanted to thank you for taking the time to make this blog. I have found it very useful to help satiate the voracious appetites of the young avid readers in my home. I really appreciate your input. I don't feel like I can pick up any “teen” book in the library or bookstore without reading (and rating) it first, and I certainly can't 'preread' all the books for my girls anymore, so your input has been invaluable. Thank you thank you thank you! You are providing a noble and much needed service. Marriane- I want more too! I think she has another one coming out in the fall or winter maybe. It'll be in the same world as Edenbrooke but with different main characters. Can't wait! I agree! I couldn't put it down – a total page turner! My 14 and 11 year old daughters adored it too. I want more from this author! This was one of my favorite reads from last year. It was a perfectly fabulous read in-between all the dystopians and tense books I read. I've actually read it about four times since it came out. 🙂 I'm glad you liked it! Laura- So true! This is the perfect book for a weekend escape. Susan- Definitely! Clean and a fun romance!! Loved it. Glad you liked it too. Beth- I know right! This one is definitely clean. I've found a few other clean new adult books that I've posted reviews for on my Clean Adult Fiction blog . This one I loved so much that I had to post on both blogs. Kara- 3 times already! Wow! I'd love to re-read this one. It makes me smile too just thinking about it. This sounds like the perfect escapism book! The kind that is a pick-me-upper. Thanks for the review. Totally agree. This was a really fun read — and clean to boot. What's not to love? I”m so glad you found a clean NA. I don't know why people have to trash everything up! LOL. I adore this book! So fun and just makes me smile. I've read it three times already.